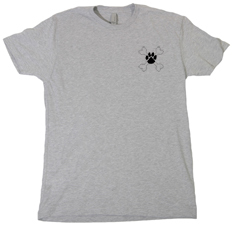 100% cotton preshrunk jersey. 6.1oz per sq yd. Ultra tight knit surface. Seamless double-needle collar, taped neck and shoulders, double-needle sleeve and bottom hems, Quarter-turned to eliminate center crease. 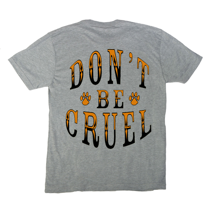 Reads “Don’t Be Cruel” on the back of shirt.